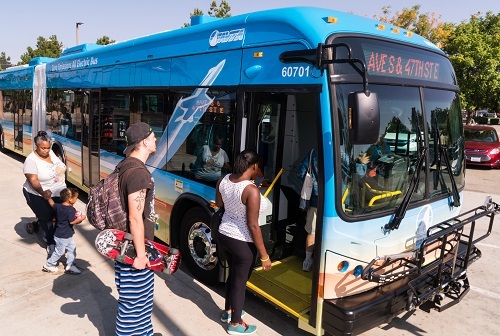 The Federal Transit Administration (FTA) recently announced the opportunity for eligible applicants to apply for up to $85 million in competitive grant funds through FTA’s Low or No Emission (Low-No) Bus Program. The Low-No Program helps project sponsors purchase or lease low or no emission vehicles that use advanced technologies for transit revenue operations, including related equipment or facilities. Instructions for applying can be found on FTA’s website at https://transit.dot.gov/howtoapply and in the “FIND” module of GRANTS.GOV. The funding opportunity ID is FTA-2019-002-TPM-LowNo. Complete proposals must be submitted electronically through the GRANTS.GOV “APPLY” function by May 14, 2019. The NOFO will be available for public inspection in the Federal Register on Wednesday, March 20, 2019.